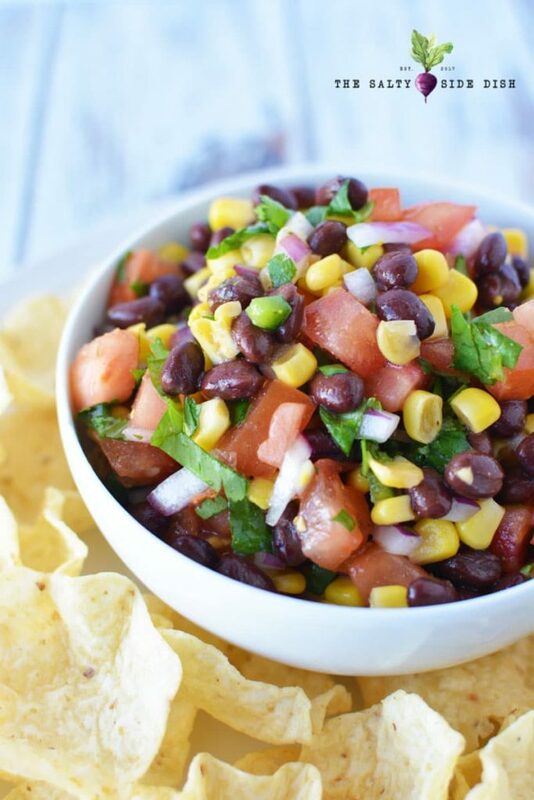 Black Bean and Corn Salsa is such a perfectly festive chunky salsa recipe that loads up your chip with a dip that makes your mouth dance! Done in minutes, you can go from prep to attack in about 5. And the best part is when you run out of this delicious bean and tomato salsa (cause at a party this dip is da bomb), it wont take much time to refill the bowl for another round. The sun is shining…or not. You paid your mortgage today. What I am saying is YOU NEED NO EXCUSE TO EAT THIS DIP! Tacos, salsa, and basically anything smothered in hot sauce and sour cream is like a gift from above. I mean, it would be an insult to the vegetables that grow if you didn’t eat them, you know? 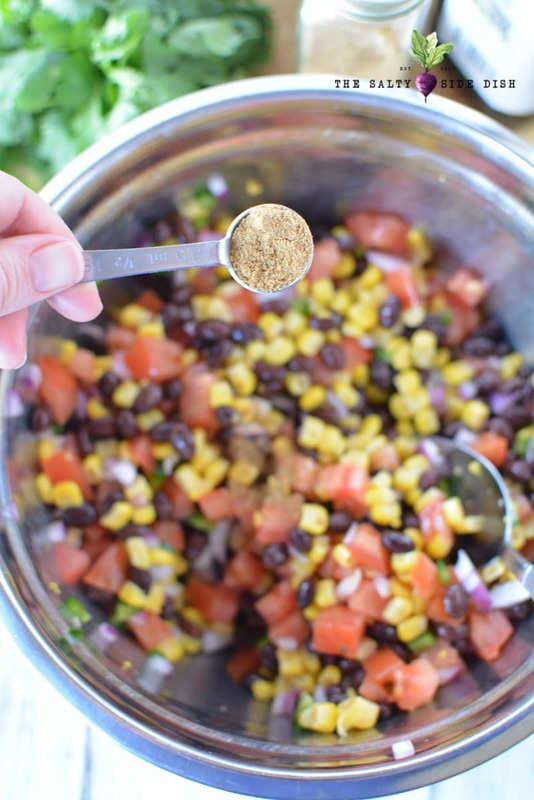 Dig into this dip and get a full bite of corn, cilantro, black beans, tomatoes and onions. 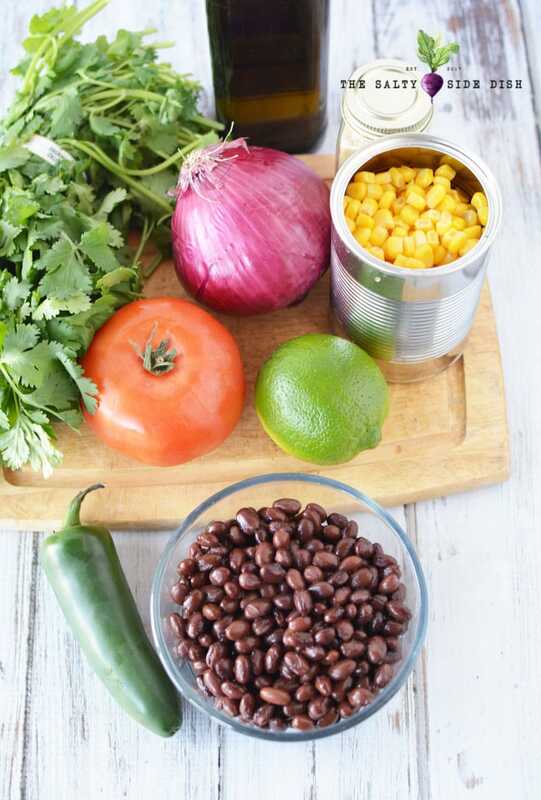 This corn and black bean salsa recipe also makes for a fantastic topping right on your tacos or enchiladas or as a compliment to my favorite dish, enchilada dip. 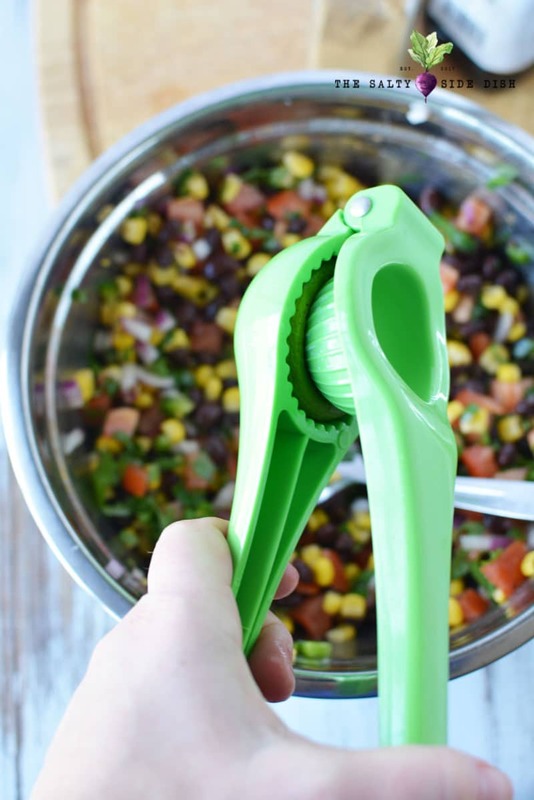 This recipe is also easy to alter with shoepeg corn or roasted corn, bits of chopped avocado or even a bit of baby green peppers! TIP: Wanna get super homemade because your mother in laws is coming over? Make some Mexican Street Corn and shave it off over using canned corn. Takes more time, but might be well worth your effort for an authentic salsa. 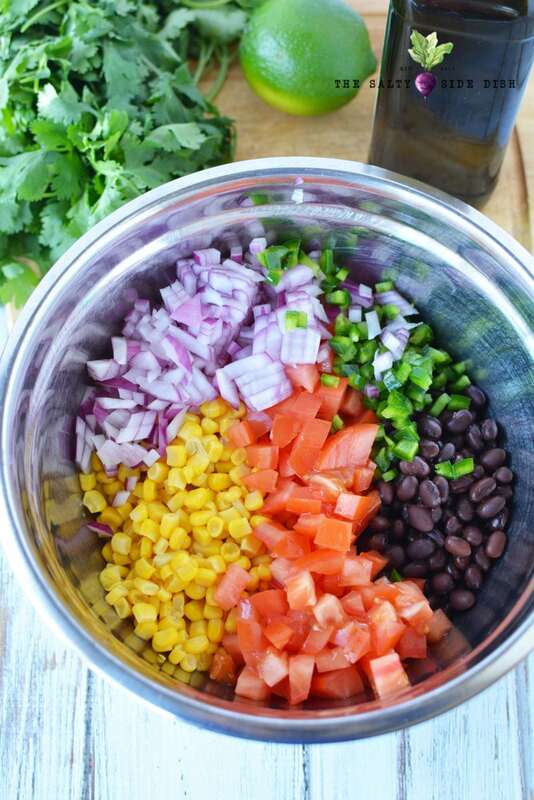 In a large bowl combine corn, black beans, onion, tomato, jalapeno and cilantro. 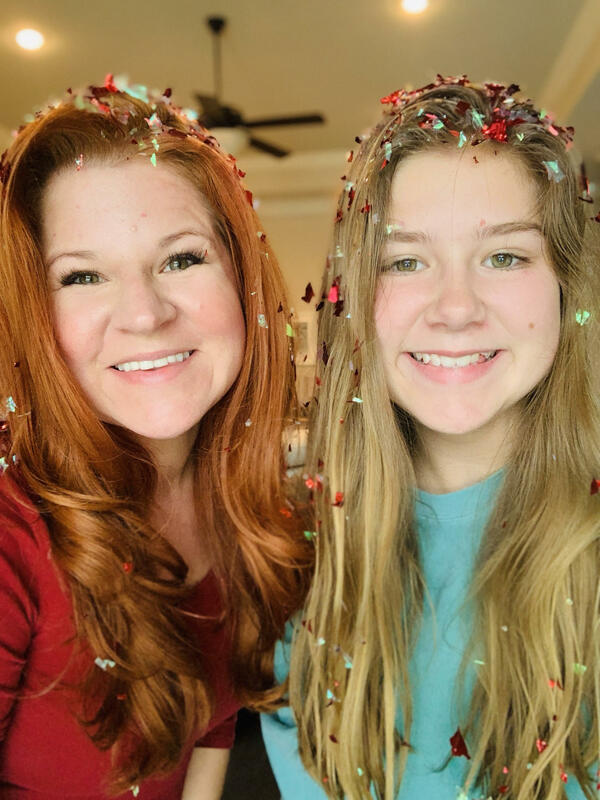 While you could opt for a freeze dried cilantro…don’t. Most stores keep fresh cilantro right in the vegetable aisles and its super cheap to get a ton. Fresh cilantro is part of the deal when it comes to breaking down the barrier of an OK salsa and a WOW salsa. Mix all your salsa ingredients super well. Stir in oil, lime juice and spices and mix fully again to make sure there are no spices over concentrated in one area…that might make for a spicy bite! Refrigerate this recipe, preferably overnight to let flavors mingle, but you can also serve immediately if you need to. 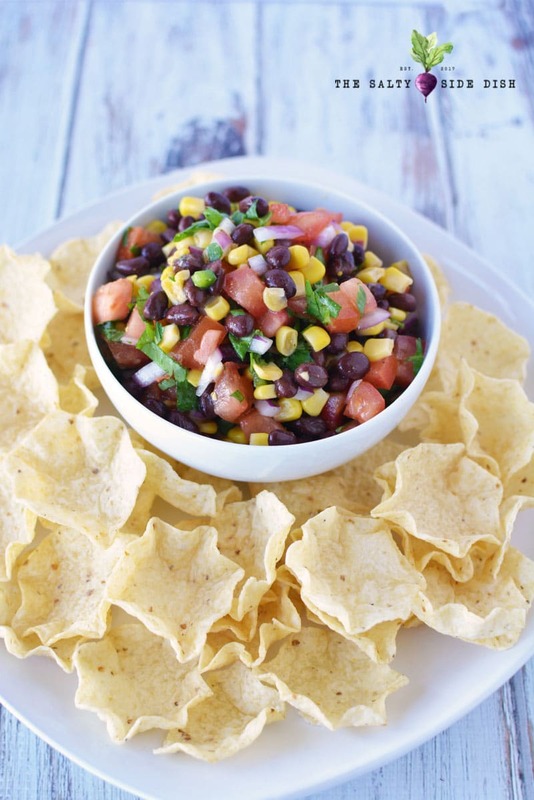 Serve Black Bean and Corn Salsa Recipe with chips or cut up tortillas. 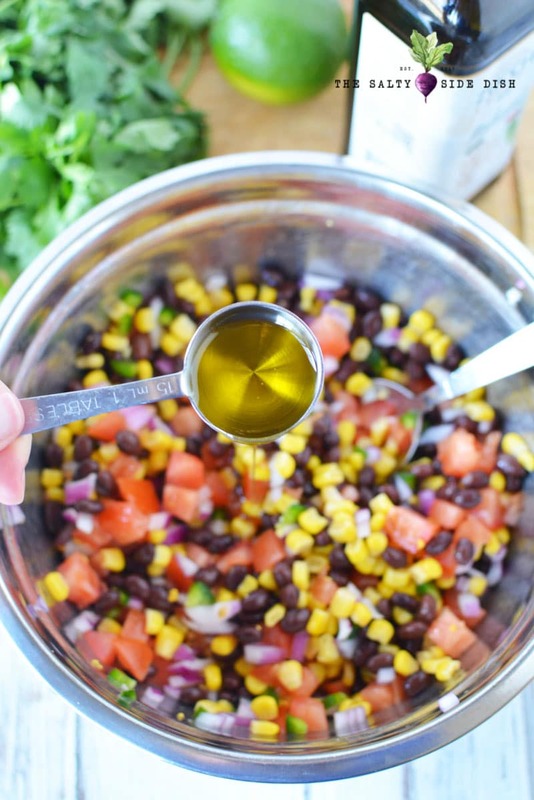 Looking for another awesome salsa idea? Try Cowboy Caviar! 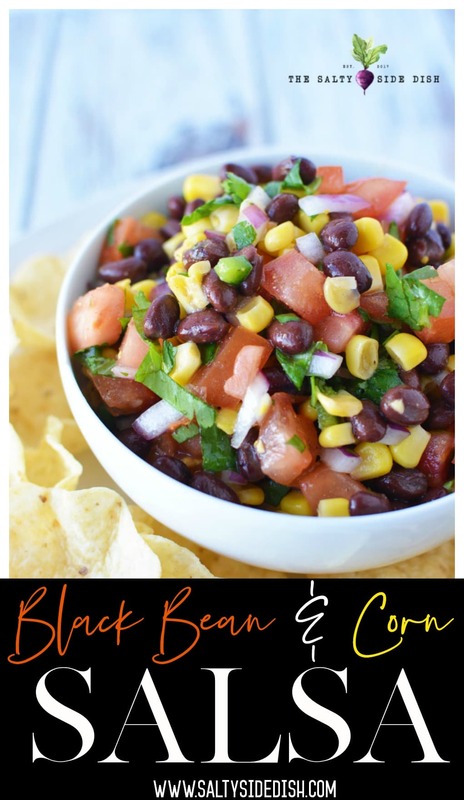 Corn and Black Bean Salsa is such a perfectly festive chunky salsa recipe that loads up your chip with a dip that makes your mouth dance! Done in minutes, you can go from prep to attack in about 5. And the best part is when you run out (cause at a party this dip is da bomb), it wont take much time to refill the bowl for another round. 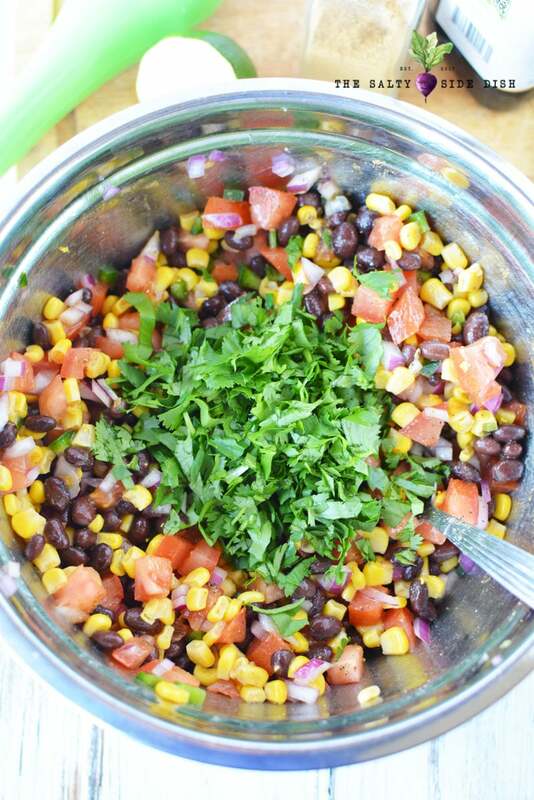 In a large bowl combine corn, black beans, onion, tomato, jalapeno and cilantro. Mix well. Stir in oil, lime juice and spices and mix well. Refrigerate, preferably overnight to let flavors mingle, but you can also serve immediately. Serve with chips.